We are proud and excited to announce the opening of our latest office in Pittsburgh! Our full service, local and long distance moving company office is open, along with storage, junk removal services and more. The Pittsburgh office is the 5th office for Moving Ahead Services, and our first in Pennsylvania. While we have provided long distance moving for customers going into or coming out of the Steel City area, the local office allows us the proper licensing and the ability to serve our customers local moving needs. Our Pittsburgh General Manager is a long standing Moving Ahead Services’ team member, and a local native to the Pittsburgh area. While we may be new to Pittsburgh, we are veterans in the relocation industry. Since our inception in 2005, Moving Ahead Services has grown from completing a few hundred moves annually to now serving thousands of customers each year. We proudly participate in all of the local and national recognition and review platforms, and adhere to the most stringent licensing and insurance standards. 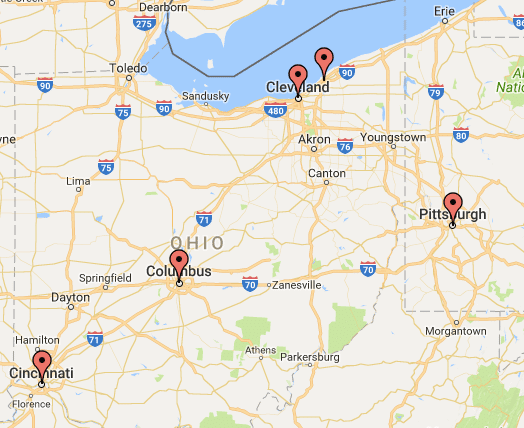 Our team in Pittsburgh is a combination of local professionals, passionate about moving and relocation logistics, and seasoned professionals from our team in Cleveland. If you are planning your next big move into, out of or in the Pittsburgh area, give us a call! (412) 452-1222 or request a free moving quote.